Police in Concord said a hacker has been arrested for allegedly using a teacher's credentials to change the grades of numerous students. Sergio Quintana reports. Police in Concord said a hacker has been arrested for allegedly using a teacher's credentials to change the grades of numerous students. Authorities are not releasing the suspect's identity because he is a juvenile. Police were notified on April 25 by the Mount Diablo Unified School District regarding a possible network intrusion on its system. An investigation determined a teacher clicked on a "phishing" e-mail and provided her credentials to an unknown hacker in the process. The hacker then used the teacher's credential to log into the school system and change students' grades, police said. "Further investigation showed the hacker appeared to have only changed the grades of students and it appeared no personally identifiable information was stolen," police said in a statement. 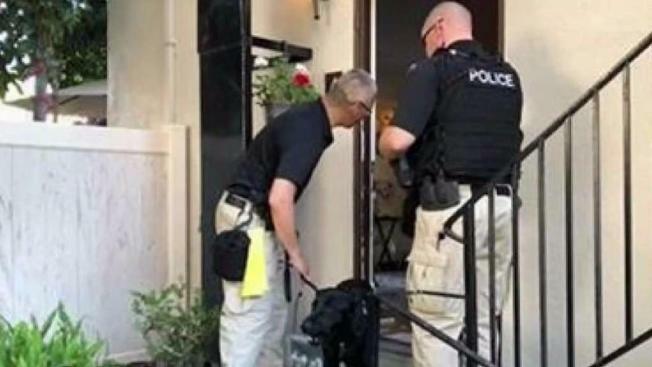 The suspected hacker was arrested Wednesday with the help of US Secret Service, Contra Costa County District Attorney's Office and the Contra Costa County Sheriff's Office. In addition, Dug, a trained electronics detection K9 with the Sheriff's Office, located an SD card hidden in a tissue box during a search. For more information on "spear phishing" e-mail attacks and how to protect yourself, visit the FBI's website.